At Moss & Cooper, resolving your legal issue becomes our top priority. We will be there for you at every step and do everything in our power to help you achieve the most favorable outcome. With our legal representation, you have an advocate on your side, fighting for your rights and best interests. Whether you are facing misdemeanor or felony charges, we can provide you with the strong defense you need. After an injury-causing accident, we can help with your legal claim to obtain the financial recovery you deserve. If you are injured on the job, we will help ensure that you receive fair compensation and medical benefits. With deep community roots, Moss & Cooper is dedicated to serving the legal needs of families throughout Cape Girardeau County and surrounding areas. Our firm's two attorneys are originally from the area and live here now. Cape Girardeau, Missouri, is not just the location of our legal practice—we call this area home. This investment in our community enables us to be better able to serve our clients and resolve legal issues effectively and efficiently. Whether you need a strong defense against criminal charges, representation for a personal injury claim, assistance with a family law matter or guidance for estate planning or probate, our firm is here to help. We fight for one family at a time, dedicating our time and efforts to obtaining the best possible outcome. The diverse knowledge our attorneys possess allows us to serve a range of client needs. No matter what legal issue you have, you can be guaranteed knowledgeable advice and skilled representation. Allen has 30 years of civil and criminal trial experience. As an experienced former prosecutor, assistant attorney general, and municipal judge, he has an unparalleled understanding of the intricate workings of the legal system. Public Service is a hallmark of Brandon's life and legal practice. 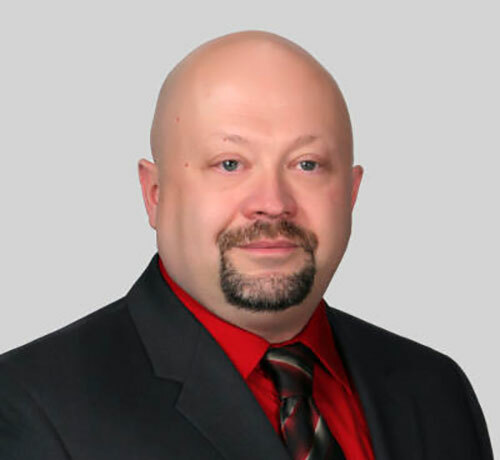 He serves as certified Guardian ad Litem (Best Interests Attorney) for local children, is a member of the lead panel of Federal Public Defenders, and assists the Missouri State Public Defender's office with local conflict cases. After a distinguished military and civilian police career, Donald began his practice with Moss and Cooper and has continued to be a leader in his community and a champion to veterans in the community at large.